Since 2011, three Regional Tourism Organisations Capricorn Enterprise, Gladstone Area Promotions & Development Ltd (GAPDL) and Bundaberg Tourism have been working in partnership to promote our amazing regions under the destination brand of ‘Southern Great Barrier Reef’ (SGBR). This branded partnership approach has won successive Queensland Tourism Awards for Destination Marketing in 2015 and 2016, with the latest Tourism Research Australia figures revealing new domestic and international visitor records! To the year ending September 2018, 152,000 international visitors to the SGBR spent a total of $106.7 Million which was a 15.3% increase in expenditure from the previous year. 2.1 Million domestic visitors (an increase of 10.2%) to the SGBR spent a total of $1.2 Billion to the year ending September 2018 which was an increase in expenditure of 17.3% and a new annual record for our SGBR destination. The total number of visitors included a 14% growth in holiday visitors (766,000) and a 30.1% growth in business visitors (630,000), with VFR making up 551,000 visitors and 153,000 other. This year marks our second edition of this combined Holiday Planner. This single A4 brochure is produced every 2 years and combines the individual precincts that Southern Great Barrier Reef encompasses, highlighting major drive touring routes into and throughout the destination including Pacific Coast Way, Capricorn Way, Great Inland Way, Australia’s Country Way and Leichhardt Way. The publication showcases sweeping imagery with a focus on Hero Experiences, major festivals and events, along with national parks and sandstone wilderness, supported by advertising from our accommodation, tours and attractions. The collaborative Southern Great Barrier Reef Holiday Planner showcases the strengths of visitor experiences through inspirational content and will be the key piece of collateral used by the SGBR partnership at all consumer and trade shows in capital cities and regional centres including Sydney, Melbourne and Brisbane over the next twelve months. Darryl Branthwaite, CEO of the Gladstone Area Promotion and Development Ltd (GAPDL), is very proud of the partnership between the three regions, and the ability to work together which has amazing outcomes for everyone involved. 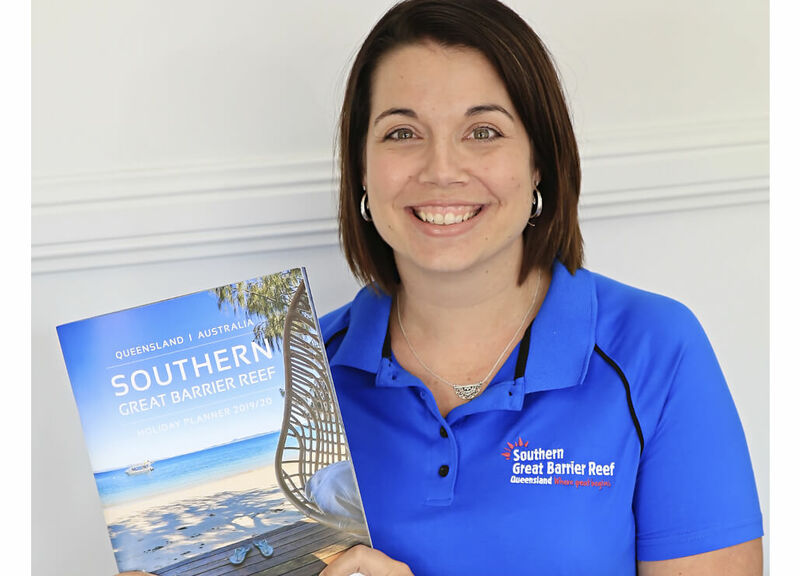 “The combined SGBR Brochure certainly enforces the natural beauty to be enjoyed right across the destination, from the stunning Carnarvon Gorge and Sapphire Gemfields, right through to the pristine beaches and the crystal clear waters of the Southern Great Barrier Reef” he said. 50, 000 copies have been printed and will be displayed in all 115 accredited Visitor Information Centres across Queensland and sent to over 10 Consumer Shows each year (incl. Caravan & Camping and Travel Expos). They will also be distributed to local accommodation houses, tourist attractions, and businesses. The guides will be included in all tourism and relocation information packs mailed out by regional Visitor Information Centres and will be available to view and read online at southerngreatbarrierreef.com.au, capricornholidays.com.au, queensland.com.au, gladstoneregion.info, bundabergregion.org and the RACQ Virtual Visitor Centre.